11 // < ! [CDATA[ // < ! [CDATA[ // < ! [CDATA[ // < ! [CDATA[ // < ! [CDATA[ // < ! [CDATA[ // < ! [CDATA[ // < ! [CDATA[ // < ! [CDATA[ // < ! [CDATA[ // < ! [CDATA[ // < ! [CDATA[ // < ! [CDATA[ // < ! [CDATA[ // < ! [CDATA[ // < ! [CDATA[ // < ! [CDATA[ agoda_ad_client = "1735058_49537"; agoda_ad_width = 728; agoda_ad_height = 90; // ]]>Plan your trip to Langkawi today! There were trees, squirrels, and pigeons where I grew up and not much more. The same goes for my wife and child, as we are all city folk. So, suffice it to say, when we first arrived at the Island of Langkawi, which is known for being a natural wonder, we couldn’t believe what we were experiencing. It was to be a great family travel destination. 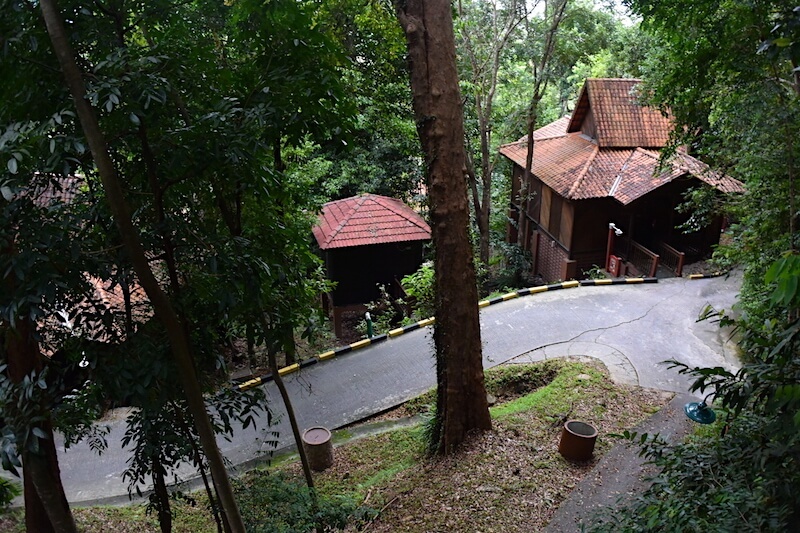 The road that led to our hotel that is, the Berjaya Langkawi Resort, were lined with Palm and Rubber Trees. Having never seen a rubber tree in our lives, we were like kids on a science field trip; and though we have seen our share of Palm Trees during our journey throughout Southeast Asia, previous, the only time we came close, was in church during Palm Sunday. They were in abundance and a sight to be seen. The word, Berjaya when translated from Malay into English means, successful. If the resort’s goal was to transport their guests to a location that is a mix of nature and luxury, then they were, in fact, successful. The lobby was large and had a hunting lodge sensibility about it, sans the display of game taxidermy. Instead, there was a large chandelier hanging from the rafters, probably pewter, set above an indoor fountain. Upon checking in, we were told to wait for a shuttle to take us to our chalet. The shuttles were basically large green golf carts that whizzed guests to their rooms, which were scattered throughout the very large property. On one side, there was the clear Andaman Sea and on the other, a rain forest. Our chalet was on the top of the forest side, and there was a true sense of seclusion. Upon entering the room, Bailey picked up a small signage on top of the bureau, which read, “monkey business”. The signage advises the guests on the behavior of the monkeys in the resort. There were basic guidelines such as not leaving food out in the patio, keeping your windows closed at night, etc. We all had a good laugh, not paying it much attention, with thoughts of actual monkeys showing up being an anomaly. The rest of the room was spacious and tastefully decorated, and it had all the requirements for a nice stay, such as a large bathroom with a rain shower and bathtub, and the two things we couldn’t live without, cable television and wifi. The floor to ceiling windows that look out onto the large balcony and the wooded areas certainly gave us the impression of being one with nature, and the supposed wild. Appropriately, since our accommodations were located in the rain forest, on our first night, the rains did, in fact, come down. It did not stop us from calling a shuttle to bring us to one of their in-house restaurants named Pahn-Thai. The operator on the other side of the line informed Brenda to stay in the room and they would contact us when they were in front of our chalet as to avoid getting drenched. Our ride, which was further than we had imagined it to be, gave us a true perspective as to the expanse of the property. By the time we arrived, the rain had become a drizzle and quickly turned from ominous to relaxing. The restaurant which is on stilts located about 100 meters out on the sea, reached by walking on a plank-like boardwalk, was a visual wonder with candlelight against the backdrop of the dark horizon of the sea. We had wonderful dinner, with the highlight being the chef’s special, a whole fried fish with seasonal vegetables in a tamarind base sauce. Above all, the service was exceptional. Returning to our room that evening, the short walk from where the shuttle dropped us off to our chalet was dark, and we heard animal noises that were unfamiliar to us. This made us realize that the natural aspect of the resort is far from contrived but real. Which was both a touch frightening and heartening. The next day, as luck would have it, on our way to the main lodge for breakfast, which overlooked the wonderful swimming pool and ocean, Brenda runs into a mid-size monitor lizard who was taking its sweet time crossing the path. Shortly after, we saw three monkeys up to their tricks, climbing up a balcony in search of trouble. The path also had wonderful landscaping from blossoms of all colors and shrubbery that was reminiscent of Versailles. This became our daily experience. By the end of the third day, we saw so many monkeys that we greeted them as if they were staff members; that monitor lizard crossed our path one other time; and we were put to sleep and woken up by all kind of bird calls. ”. Luckily, we now have this as our reference point as a family. It’s a good one at that. On our last night, we all snuggled together on that large king size bed, under the high thread count sheets, with the air condition blasting and the television on, we were proud to be one with nature. Hey, what else can you expect from a bunch of city folk? Thank you, Berjaya Resorts and LADA for welcoming and hosting us in your beautiful island and resort. Travel story and thoughts are ours. 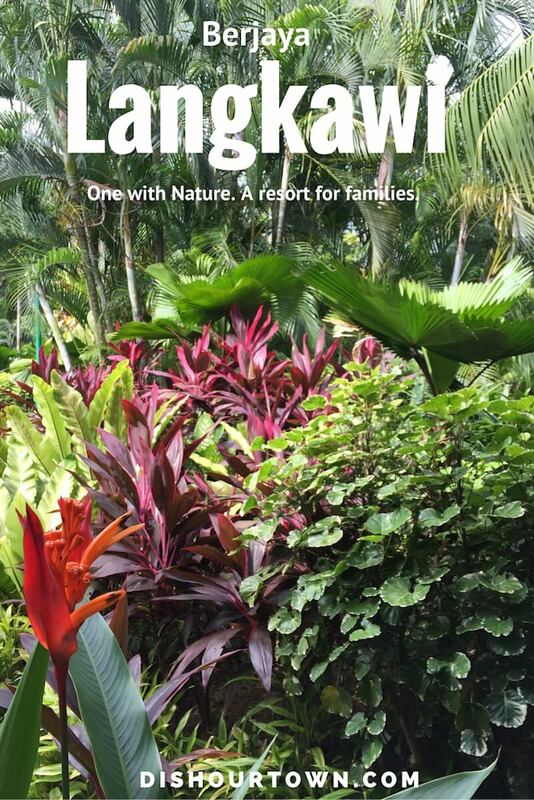 Plan your trip to Langkawi today! Looks like a fun hotel. How far is it from major attractions ? Is it easy get a cab / UBER ? I’m looking to check out more Berjaya properties myself as we were pretty impressed with this one. Check this one out, and maybe we will check Ipoh out. This looks like a wonderful place to stay. I particularly like the nice touch with the shuttle bus to pick you up because of the rains! The shuttle bus was definitely a great service. Just about everything at the resort was done well when accommodating guests. Beautiful to boot. Wow that looks really lovely !! So lush. Lush and Lovely for sure. Langkawi is special. To be honest with you I’ve never about the Island of Langkawi before reading your post. From what you are describing this is a natural wonder and I’d very much like to see it. Berjaya Langkawi Resort looks simple but clean and comfortable. I’m sure you must have had a blast there. It was a blast and honestly was never on our list of places until recently. Certainly one of those places we were happy to have pursued visiting. I also discovered that monkeys are not the warm and cuddly creatures I thought they were and that they love to try and enter hotel rooms! This sounds like a wonderful resort, very one with nature for sure. 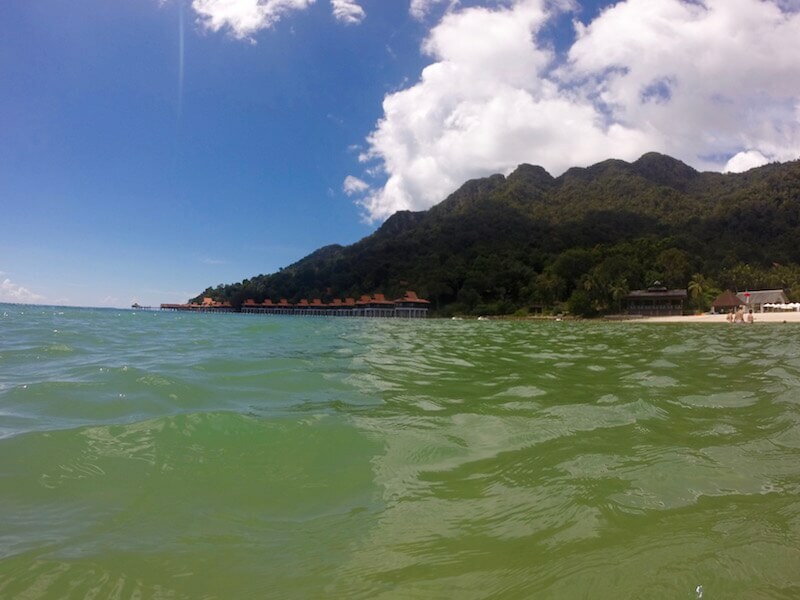 Being one with nature is Langkawi’s M.O. This hotel certainly does the trick. Long legs, yes. But not to long that the monkeys can’t get to it. Paradise for sure. Nature for sure.It is a fun stay. It’s got monkeys, you should definitely go. I’ve got my eyes on Langkawi lately so this article came right on time. Been doing a lot of reading about it because I really don’t know much about it. I’m a huge planner when it comes to places I wanna prioritize so I look forward to see more of your Langkawi articles! Erica: Happy to hear its on your radar. There a a few more articles following this one. Hope they will be helpful to you and the decisions you make. WOW! This looks stunning! 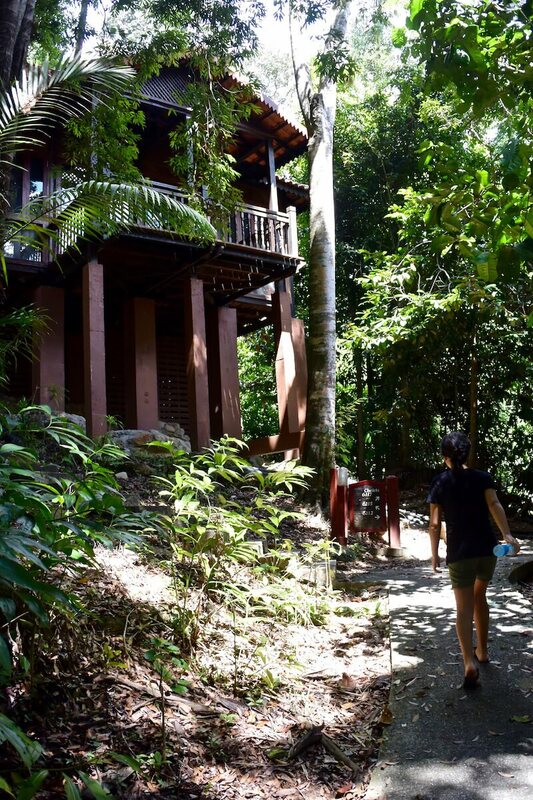 Nothing like staying in the rain forest! However, with luxury often comes a high price tag. Was this accommodation outrageously expensive? 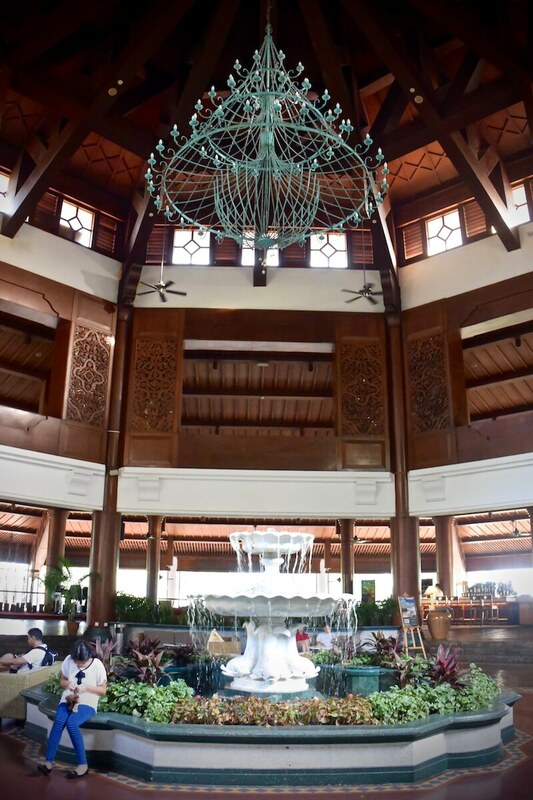 I’ve found that in many Asian countries, you can get amazing lodging, service and accommodation at bungalows and boutique hotels and pay a fraction of the price as these luxury resorts. Yes, places such as these come with a high price tag in most western countries, but the fact that it is in Southeast Asia makes it palatable and attainable. This looks like my kind of place. I love being about to walk around and spot “locals.” The villa looked so comfortable and the pool – I could dive right in! Jen: Yes, certainly a place that was hard to leave and a joy to spend time in. Thanks for the read. Certainly a place that makes a guest feel special, with the attention given. Honestly, the place was so beautiful that I was willing to overlook just about everything else. Thanks for the read.